You are here: Home / Blog / Car Camping and Backpacking Gear Comes to the Gear Library! Car camping and backpacking gear are now available at our youth gear library, where local youth leaders can access gear for free. Learn about our upcoming orientation so that you can become qualified to check out gear. Our new Gear Library is committed to helping the next generation explore the outdoors. Since launching in August 2018, we have partnered with local youth-serving agencies to offer free access to outdoor gear to help increase access to our wild places. We are excited to announce that car camping and backpacking gear are now included in our gear offerings! Attend our upcoming Gear Library orientation on April 8 to learn more. WHAT IS A GEAR LIBRARY? Activity Specific Training. 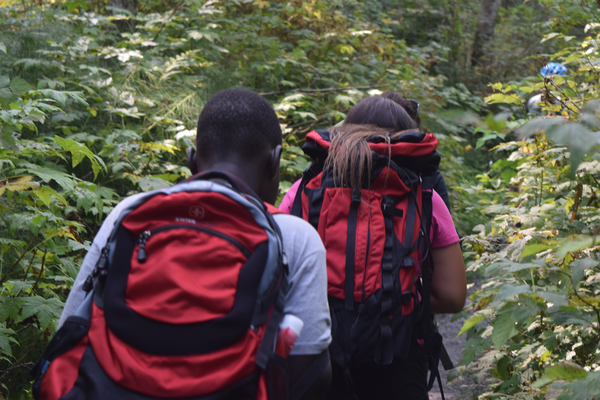 We've partnered with the Washington Trails Association (WTA) to provide activity-specific training for adventuring outside with youth participants. WTA offers hiking, car camping, backpacking, and snowshoeing leadership trainings. Access to Gear. Our Gear Library has a vast range of clothing and boot sizes, from Youth Size 8 - Adult XXXL. We also have outdoor gear for hiking, car camping, backpacking, and snowshoeing. If you’re a youth leader or work for a youth organization and want to take your group outside, we’re here to help! Step 1: Attend a Mountaineers Gear Library Orientation. Our next one is April 8. Step 2: Complete an activity-specific WTA Outdoor Leadership Workshop. Step 3: Check out gear! Visit our Gear Library page or read our last Gear Library blog for more information.